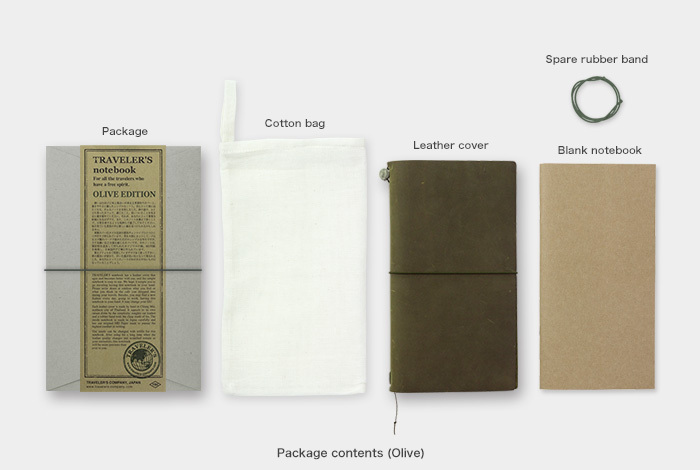 Have a nice trip into the wild with TRAVELER’S notebook OLIVE EDITION! 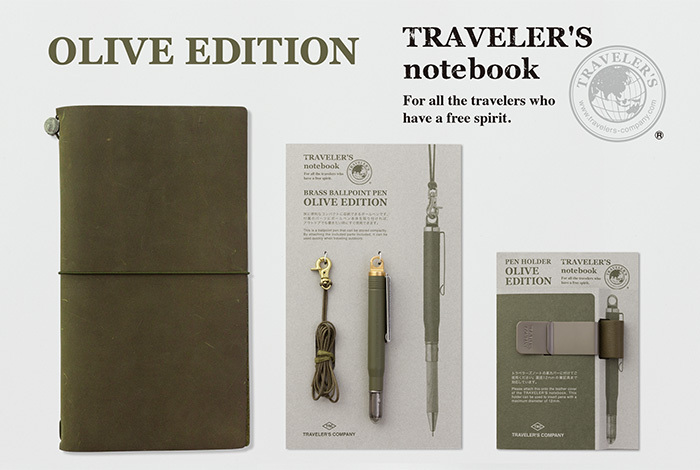 The OLIVE EDITION featuring the 2017 limited-edition color is coming to TRAVELER’S notebook. 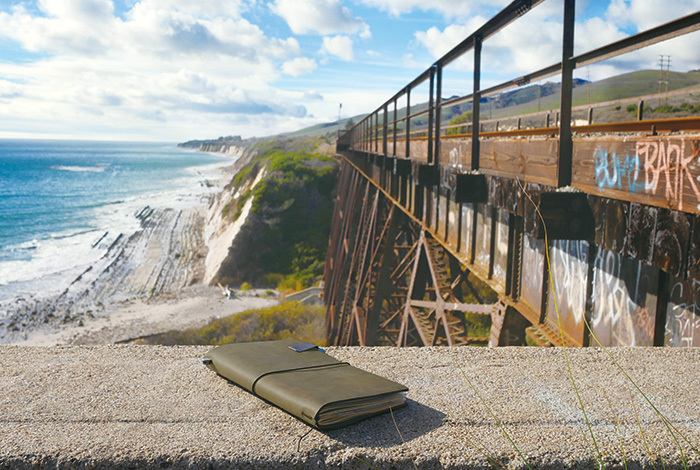 What colors of leather look good with TRAVELER’S notebook? Since releasing the classic editions of the notebook in brown and black in 2006, we have created numerous prototypes while taking another look at color. TRAVELER’S notebook is known for how they make use of leather’s inherent texture to take on a richer character the more they are used. This characteristic in fact makes it more likely for color and texture to change due to the individual differences in the leather. Predicting these changes and working to develop colors and tones that are right for TRAVELER’S notebook will be an effort that takes time. We developed the Camel Edition to mark five years for the brand in 2011, followed by the Blue Edition in 2015. And now 2017 has brought new color to TRAVELER’S notebook. Our aim was to achieve the color of old-growth forests that have been spreading their roots since ancient times. Henry David Thoreau built a log cabin in the forest around Walden Pond and wrote Walden: Or, Life in the Woods as he lived a life of self-sufficiency. Michio Hoshino became captivated by the Alaskan wilderness and took many beautiful photographs before he passed away in Siberia. There were also Basho and Santoka, who found inspiration for their poems by walking through the woodlands of Japan, and there were Brautigan and Kerouac, who wrote about living in the untamed forests of America’s Big Sur region. Forests have always given the energy to create new pieces to the many artists who have traveled through them. Inspired by these dense forests, new TRAVELER’S notebook OLIVE EDITION arrives in a limited-edition color for 2017. 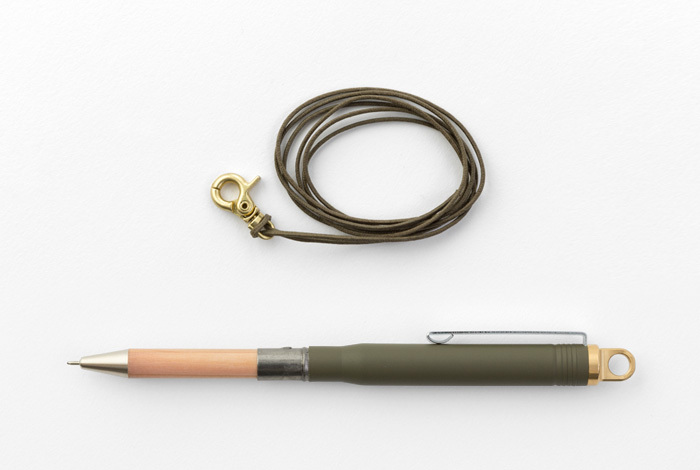 We have also created the olive-colored PEN HOLDER and BRASS BALLPOINT PEN, which we hope our customers will use together with their TRAVELER’S notebook. The plus-sized ring is an original design for the PLUS BALLPOINT PEN. 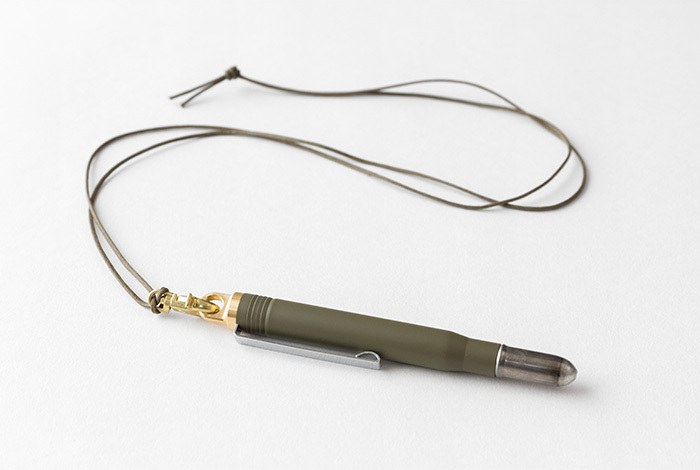 Attach the ballpoint pen to the holder to allow for easy use, even when outdoors. 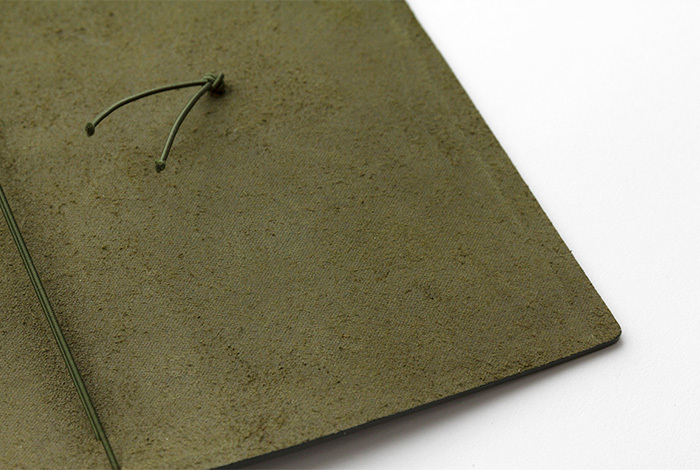 With your TRAVELER’S notebook OLIVE EDITION in hand, and with that feeling of a traveler walking through the wilderness of untrodden lands, we invite you to spend every day as if making a journey. *Since these items are all limited, please be noted that it may be sold out in some retail shops. 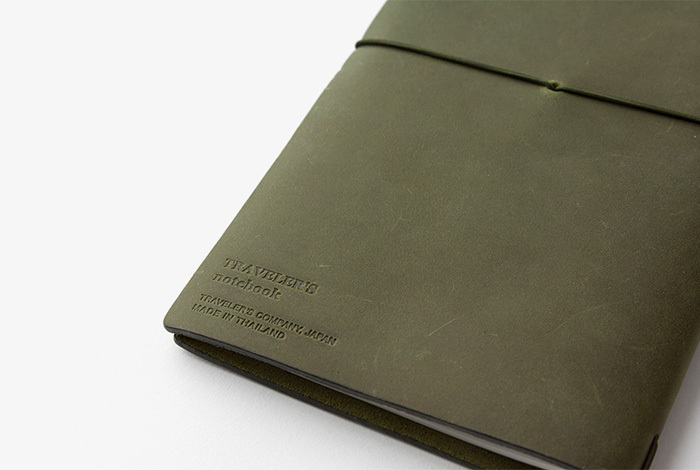 This is TRAVELER’S notebook in olive, a 2017 limited-edition color. 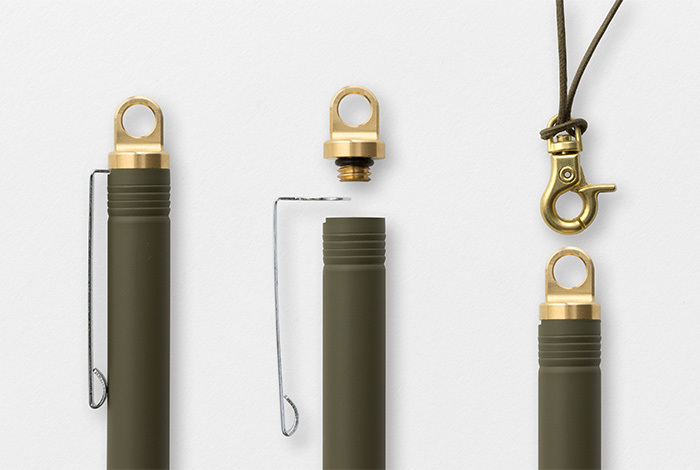 A deep green tinged with yellow, olive is sometimes referred to as khaki green in Japan. 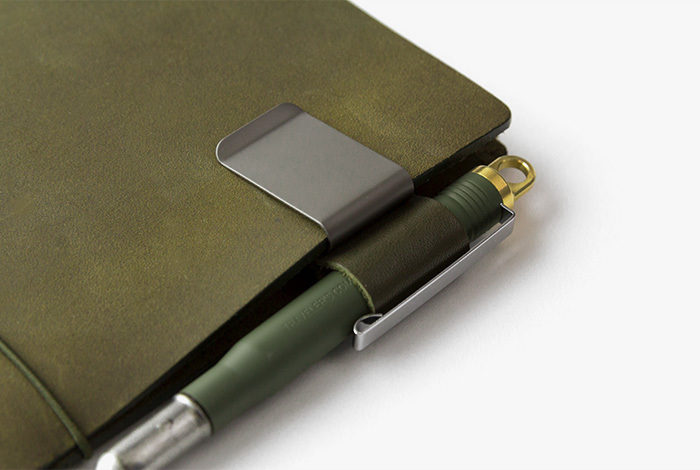 With a green often seen as protective coloration in nature, this TRAVELER’S notebook is a good companion when you’re outdoors or out traveling. 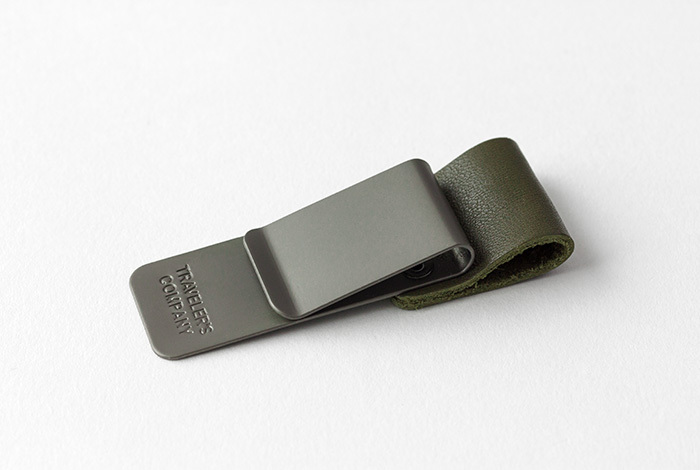 This pen holder made from olive-colored leather can be used together with TRAVELER’S notebook OLIVE EDITION.